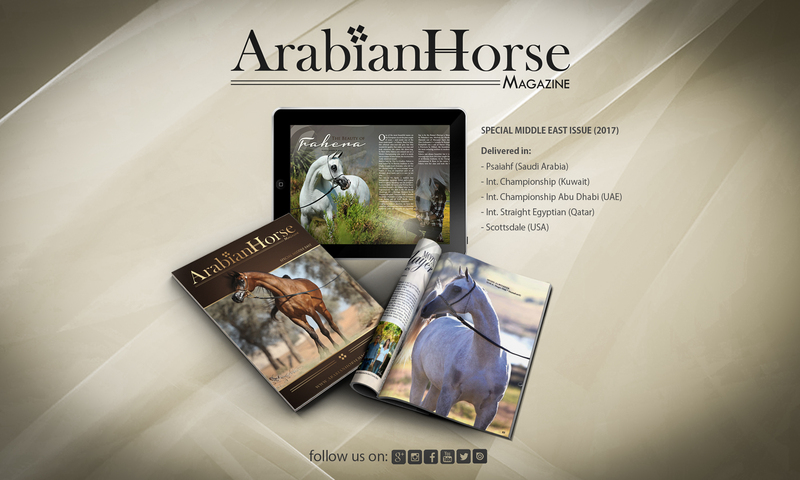 The 2017 special edition of Arabian Horse Magazine celebrates this year its second birthday. We feel to share together with you this further success by bringing together some of the latest novelties and results in the breeding world with a special focus on the Middle East countries. 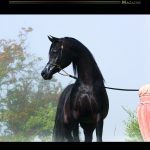 There is also content focusing on training and breeding advances and innovations, a showcase of the most important Arabian horses shows in the world, from the 2017 Paris World Championship Show at the glittering Salon du Cheval, going straight at the heart of Europe with the European Championship in Lier, Belgium, heading down in the UAE with an extensive beautiful presentation of the luxurious Dubai International Show. It presents several articles on the finest and most representative subjects of this magnificent breed whose across-the-board excellence is known globally. 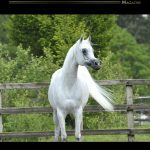 Donna Molta Bella, jewel in the crown of Al Saqran Stud; The Moniscione, Monz Albidayer, Arethusa Shamir, Fahera and Enzo are here celebrated as star-studded Arabian horses and legends of the breed and their heirs. 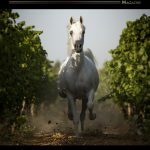 We also want to draw the reader’s attention upon some of the most important breeding and training stations located in Italy, Europe and in the UAE : Arethusa Arabian in Sicily, owned and run by a very close friend of ours, Pippo Palumbo; the IATC training center of Paolo Capecci in Umbria; Peppe Fontanella Magic Arabians in Campania; Giacomo Capacci Arabians, a long-time training reality in the heart of Tuscany; the newly born Elegantika Training Center of the Mearelli Team; Privilige Arabian of Raphael Curti and Philip Looyens in Belgium, Athbah Stud in the western part of Riyadh in Saudi Arabia; the immense Stables of Al Shaqab in Qatar and, of course, Dubai Arabian Horse Stud one of the world’s most successful Straight Egyptian and Pure Bred horse farms. We did not miss out the chance to interview judge Mrs. Christine Jamar and handler Iacobean Toader since for us of Arabian Horse Magazine has become vital to give judges, handlers and trainers equally the opportunity to speak about their personal professional experience and daily commitments. 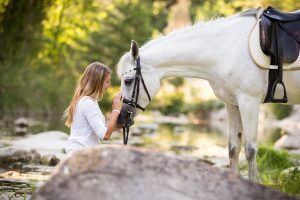 Thus the pages on Etha, the Europe Trainer and Handler Association which serves all handlers and trainers in the world as a common platform where they can discuss the main issues on the Arabian horse industry and promote themselves and their centers accordingly. Not to forget the special section thoroughly devoted to the Straight Egyptian line under the guidance of Domenico Tocchi and some extremely interesting pages dealing with the Health and Welfare of the Arabian Horses directed by Dr. Laura Grassi. To conclude, we want to wish all our friends, breeders, trainers and loyal readers a very happy and productive year 2017!